In October, 2009, Vietnamese ceremonial singing (Ca trù), was officially recognized by UNESCO as a world intangible cultural heritage in need of preservation. Ca tru is one of the most uniquely Vietnamese genres of folk music in the Vietnamese treasury of traditional music. Its origin and history remain controversial today. Ca tru has many different names. In each region, depended on time, it was called “hat a dao”, “hat co dau”, “hat nha to”, etc. However, with its any names, ca tru has been always attached with dao nuong (ca tru female singers). It is not easy to become dao nuong because they must meet rigorous conditions such as voice, musical ability, knowledge of music and poetry, passion and patience. The existence of Ca Tru depends on dao nuong because they are singers conveying and showing its beauty and uniqueness as well as helping it exist until now. Ca trù is rooted in folk music, so it is a synthesis of art involving a complex blend of poetry, music, and sometimes even dancing. Most forms of Vietnamese traditional music are the combination of poetry and music, such as ve, dong dao, lullaby, ho, ly, and cheo. Ca tru is also a genre of chamber music like ca Hue (Hue singing in Central Vietnam) and ca tai tu (amateur music) in South Vietnam. The rhythm of ca tru is not fixed but depends on cadence of verse, so songs like Gui thu (Sending letters), Hat ru (Lullaby), Bac phan, Muou (beginning or ending part of hat noi), etc have different rhythms. Especially in ca tru, vocal and instrumental music are parallel to each other and each genre has specific characteristics. For vocal music, apart from tuong, nothing has diverse and unique techniques like ca tru. It expresses the most clear when dao nuong sings. Singing techniques are very highly polished. It is not necessary to open widely the mouth, push the air from the lungs but hush up the air in throat. Only with those, the voices as well as the lyrics are still clear. Besides vocal music, instrumental music is very important in ca tru. It includes co phach, dan day, and trong chau. Co phach is a piece of bamboo or wood called ban phach and two wooden sticks: one is a large phach and another is a tiny phach. 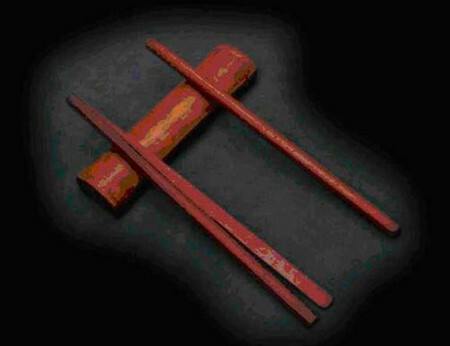 Two wooden sticks knock co phach, which makes high and low or strong and weak sound. The performers use large phach and tiny phach very smoothly. Their hands move up or down flexibly like dancing. One of the most important musical instruments in ca tru is dan day (a Vietnamese plucked lute). It has a trapezoidal or rectangular wooden body. It has surface but not bottom and is made from sycamore. Its neck is very long with ten or eleven raised bamboo frets. It also has 3 silk strings which have different ways of pressing, which makes its rhythms win hearts of the audiences. 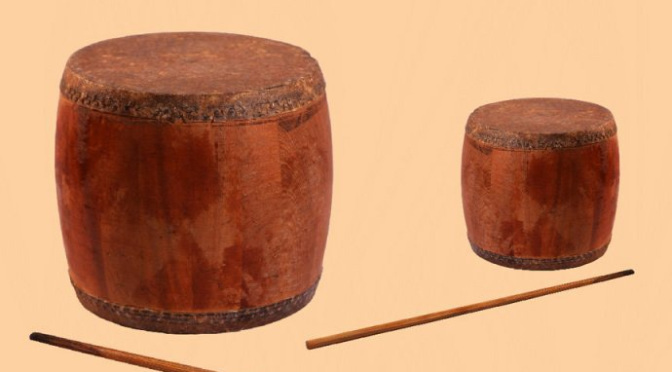 Besides, trong chau (a type of Vietnamese traditional drum) also contributes to the uniqueness of ca tru. Its size and way of playing in ca tru is different from in Tuong. The drumstick is not called dui but roi chau. Roi chau is made from wood and longer than drumstick of trong khach. The drummer who is good at ca tru and understands laws of music profoundly just can handle roi chau. The sound of trong chau makes the voice and verse become outstanding. All of three musical instruments make the songs of ca tru become diverse with many timbres, functions and have positive changes continuously. Ca tru of Vietnam reveals the seduction, elegance and uniqueness. Its distinct characteristics have created the differences which any kind of art does not have. Being well-known in the Northern provinces, especially the capital of Thang Long Hanoi, Ca trù now has appeared in 14 provinces along the country, including the Northern provinces, the central provinces and even in Ho Chi Minh city. 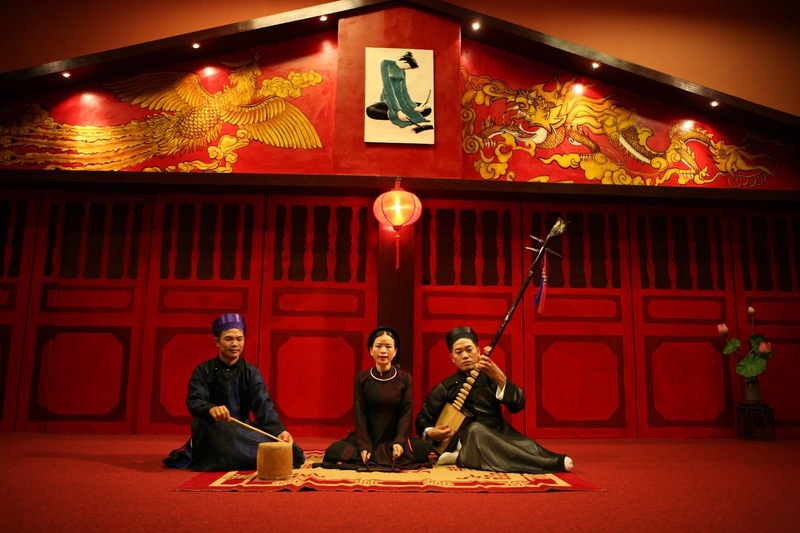 The combination of words, singing voice and traditional music instruments in Ca tru requires the audience’s comprehensive knowledge of Vietnamese history, poetry, literature and music. This may be the reason why Ca tru is not favored by the youth and is gradually losing its fans given the changes in contemporary life and the development of the more modern forms of entertainment. However, at present, Ministry of Culture Viet Nam have policies to keep and preserve the folk music genre this. And you can enjoy this music while visiting Hue imperial palace or at the Temple of Literature (Hanoi).